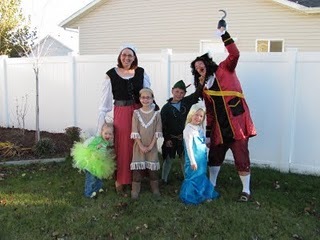 Happy Halloween from the Birding is Fun Family! What a great looking family! 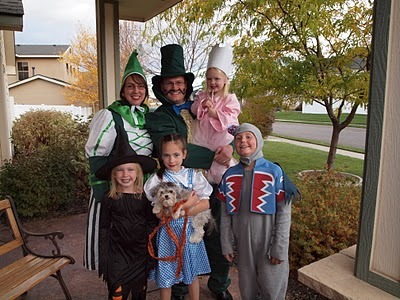 Love the Wizard of Oz costumes! 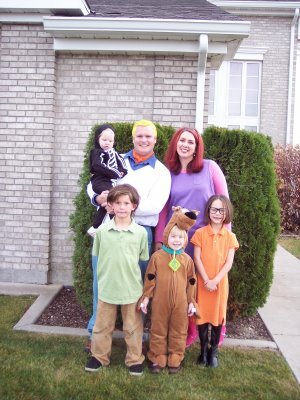 The Scooby Gang is a riot! My wife is really really into Halloween. She tried painting my hair yellow to match Freddy, but my hair was dark enough that it made the color green. Not one to give up, and being a licensed cosmetologist, she actually dyed my hair bleach blond and then painted it that cartoon yellow. Little did I know that bleach burns the heck out of your scalp. After Halloween she tried coloring my hair back to its natural color. What I ended up with was shinny copper penny color for a couple days of ridicule by friends and family. She darkened my hair again. All in all, my hair was bleached or colored seven times just to give Freddy a respectable appearance for one night of Halloween. It took a couple of months to finally grow out and get cut off.